With Christmas just two weeks away and the hectic holiday season in full swing, if you’re like me, you can still taste the leftover roast turkey and pumpkin pie following the Thanksgiving feast. So, after turkey overload, I’m sure many of you have the same desire as me, to change up the menu for the next holiday gathering. Baked ham is usually the star of the show for our Christmas meal and oftentimes I’ll create a brunch menu featuring cheese grits, boozy sweet potatoes, and scalloped potatoes, along with a vegetable and/or spinach salad. I like to have the cooking done early, so the rest of the day can be spent with family and friends while nibbling on the leftovers, especially the ham and dessert. This year, I’m thinking of spicing up the menu and including several recipes from Southern Heat. 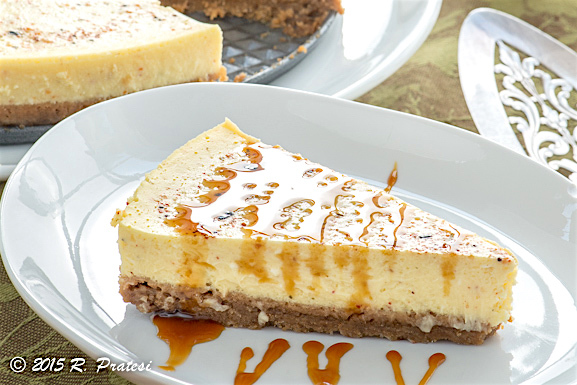 I’m also breaking tradition with baking the usual pumpkin and pecan pies and making Togaraschi Cheesecake. 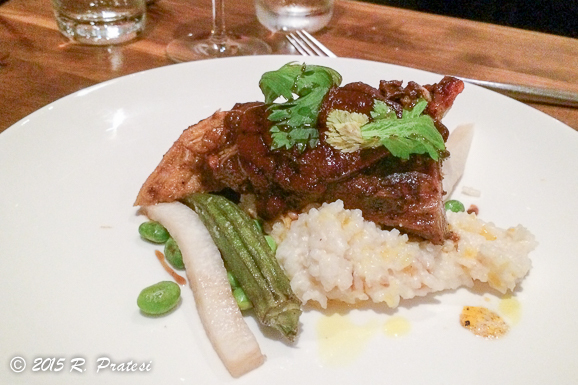 On our recent On The Road culinary adventures tour to the Bluegrass State, one of our stops was at MilkWood, the highly acclaimed restaurant of Chef Edward Lee. 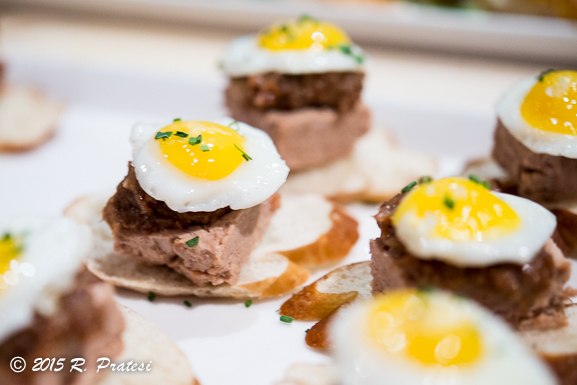 Chef Glenn Dougan served us a selection of tantalizing appetizers (several pictured below) and an impressive four-course tasting menu with wine pairings with the finale being Chef Lee’s Togarashi Cheesecake. 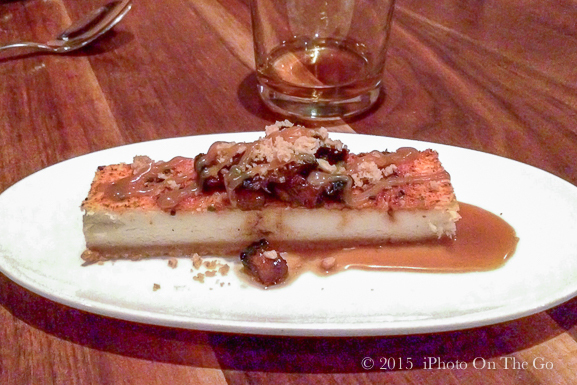 It was the perfect way to end the menu that was inspired by international flavors and Southern ingredients. 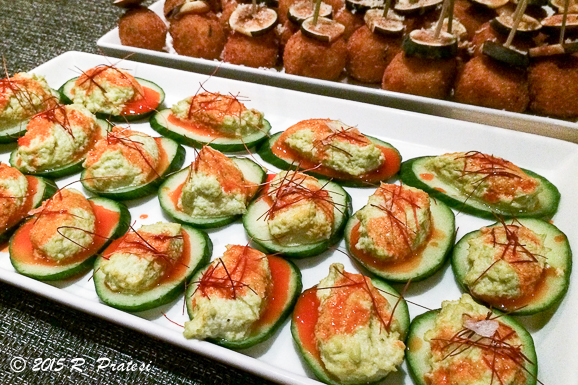 Chef Edward Lee was at the event and our guests received a signed copy of his book, Smoke & Pickles, which includes this recipe. Lee is the chef/owner of 610 Magnolia and MilkWood in Louisville, and a partner in the recently opened restaurant, Succotash, in Washington, D.C. 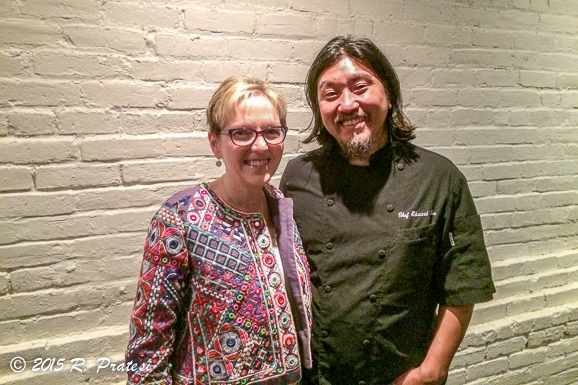 He is a four-time finalist for Best Chef Southeast in the James Beard Awards. He was also on Top Chef and the host of a Mind of a Chef on PBS. 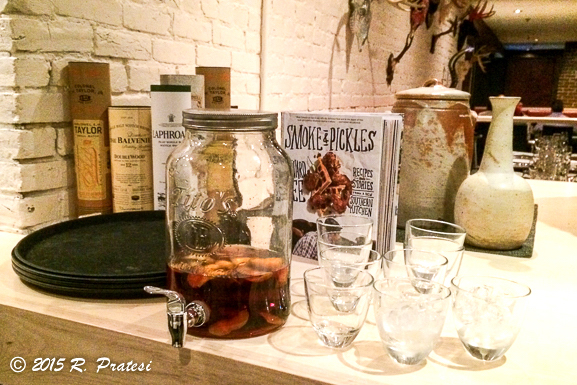 Smoke & Pickles features Lee’s signature flavors combining his Korean heritage with recipes and stories from the South. 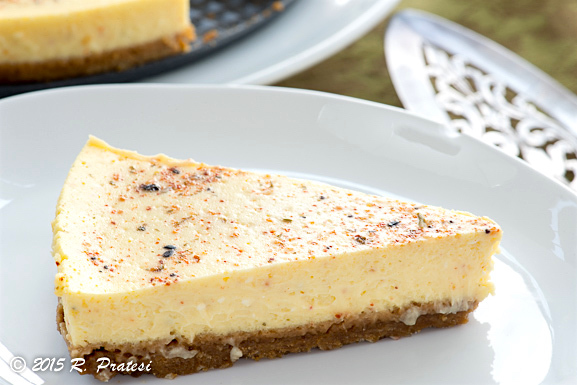 What makes his cheesecake special is Togarashi. 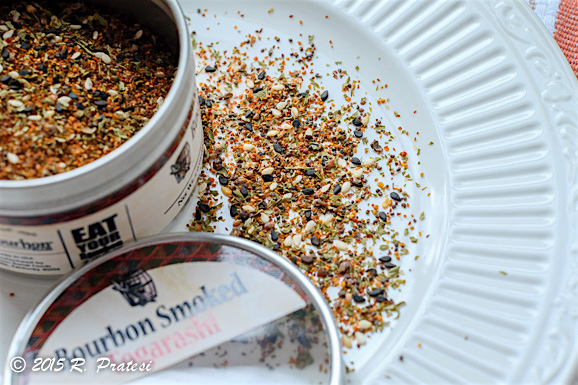 The peppery Japanese spice mixture blends red pepper flakes, white and black sesame seeds, black pepper, dried orange peel, and a variety of other spices. 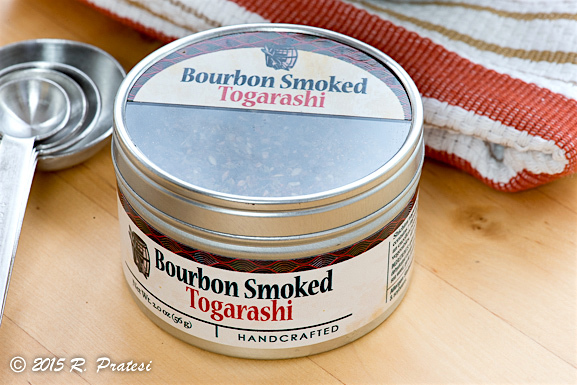 Chef Lee uses Bourbon Smoked Togarashi from Bourbon Barrel Foods, which is made in Louisville by our friend and owner, Matt Jamie. Perfect for seasoning anything from soup to meats to vegetables, this complex mixture has a unique aroma of black tea with a hint of heat and spice. Cool idea, I’ll definitely have to try this one!